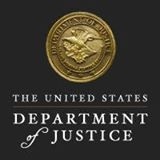 BUFFALO, N.Y. – (RealEstateRama) — U.S. Attorney William J. Hochul Jr. announced today that Alagi Samba, 46, of Bronx, NY, pleaded guilty to conspiracy to commit wire fraud affecting a financial institution, before U.S. District Judge Laurence J. Vilardo. The charge carries a maximum penalty of 30 years in prison and a $1,000,000 fine. Assistant U.S. Attorneys Kathleen A. Lynch and Elizabeth Moellering, who are handling the case, stated that between June 2008 and February 2009, the defendant conspired with other individuals to devise a scheme to commit mortgage fraud which included obtaining seven loans for unqualified borrowers. As part of the scheme, Samba served as a realtor on behalf of co-conspirator Daniel Badu in the purchase of a property at 814 Faile Street, Bronx, NY. The defendant was aware that Badu was employed as a home health aide and did not have the income or assets to qualify for a mortgage loan in the amount of $574,543 to purchase the property. Samba obtained Badu’s personal identification information and business documents and provided them to another co-conspirator, a mortgage broker, knowing that the documents would be altered or created to falsely indicate that Badu was an ophthalmologist at his company Eagle Eyes. In addition, fraudulent paystubs and tax returns were submitted to support the loan application. Samba knew that these false loan documents were submitted a mortgage bank in order to secure a loan insured by the Federal Housing Administration. Based on that false application and supporting documentation, the loan was approved. The defendant and his co-conspirators arranged for additional fraudulent loans to be approved, including another loan for Badu, and caused wire communications to be transmitted in interstate commerce for those loans. These fraudulent transactions caused losses of approximately $3,603,830 affecting financial institutions in Buffalo and elsewhere. Daniel Badu was also convicted of wire fraud affecting a financial institution and is scheduled to be sentenced on November 15, 2016 at 10:00 am before Judge Vilardo. Charges are pending against defendants Gregory Gibbons, Julio Rodriguez, Laurence Savedoff, and Tina Brown. The fact that a defendant has been charged with a crime is merely an accusation and the defendant is presumed innocent until and unless proven guilty. The plea is the culmination of an investigation by the United States Postal Inspection Service under the direction of Shelly Binkowski, Inspector in Charge, Boston Division, the United States Department of Housing and Urban Development, Office of the Inspector General, under the direction of Special Agent in Charge Brad Geary; and the Federal Bureau of Investigation, under the direction of Special Agent in Charge Adam S. Cohen. Additionally, the New York State Department of Financial Services assisted with the investigation. Sentencing for defendant Samba is scheduled for March 14, 2017 at 10:00 a.m. also before Judge Vilardo.